with people from these same communities. 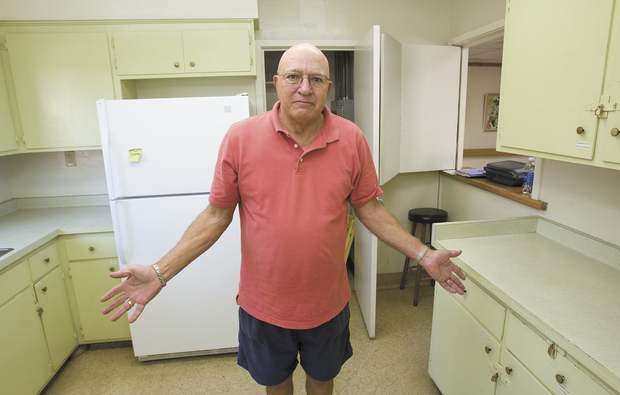 A gathering of 30 South County organizations to raise money for a new kitchen at the much-used Woman’s Club and Community Center at 211 Vernon St. in Arroyo Grande will take place Oct. 19, from 11 a.m. to 5 p.m. The event will allow each group to showcase what it does in the community. Mary Carson, president of the Arroyo Grande Woman’s Club, met with John Rogers, director ofArroyo Grande Recreation Services; members of the Lions Club; and others to discuss updating the kitchen at the Woman’s Club and Community Center. They originally just wanted to replace the floor, cabinets and countertops. Instead they decided to do much more: increase the size of the kitchen by five feet, install new stainless steel countertops and sinks, add double ovens and big closets, and re-do the floor. “Celebrate! Arroyo Grande Festival” will feature a barbecue cooked by the Lions Club, Doc Burnstein’s Ice Cream, a bake sale by the Woman’s Club, a girls’ baton class performance, the Central Coast Fiddlers and much more. “Barbecue guru” Tom Bonds, a Lions club board member and past president, will be the organizing force and calculator of food needs, according to Rogers. Bonds said they’re shooting for 800 dinners. Mary Pat Riley is with the El Camino 4-H and has been selling many tickets. The club meets monthly at the center and wanted to give back. The 4-H serves youngsters from seven to 18. They show their animals at the fair, develop leadership skills and do community service projects. South County Seniors is a multicultural senior group that meets the second Tuesday of each month at the center. Avelino Lompitoc said that the meeting includes playing blackjack and a potluck lunch. They are donating $1,000 to the cause. They also play cards each Tuesday at 10 a.m. Contact Vice President Jeanne Dougall for more information at 343-1342. The Central Coast Fiddlers meet the second Sunday of the month. President Mike Morgan said the purpose of the group is “to perpetuate old time country fiddling.” They play a variety of music, including Latin, Spanish and pop. Instruments include banjos, mandolins, guitars and accordions. Dancing is a big part of it. Gail Cheda, manager of the Central Coast Senior Center in Oceano, said they serve seniors from the Five Cities area, with 18 activities each week, from games like bingo to Tai Chi, art, woodcarving and more. It is also the Five Cities site for the Senior Nutrition Program, serving lunch Monday through Friday at 11:30 a.m. Call for more information at 481-7886. Rogers says the Vernon Street building was last improved in the early 1980s, when the rear part was added. It’s “really a terrific partnership with the Woman’s Club, the Lions Club and the city,” with partnerships from other groups. Other participating organizations include the Boys and Girls Club, Arroyo Grande Police Department with K-9 and Neighborhood Watch (the dog will be there) and the Youth Arts Academy. There will be a raffle with prizes, including a spa package, four rounds of golf, a hand-made quilt, movie tickets and more. For information or to buy tickets for the barbecue ($10), call Mary Carson at 473-5801.